Silver-Bond 18 Rigid Highly Conductive Silver Epoxy Dual Cartridge Easy Mixing System is an epoxy adhesive and coating formulation based on pure silver. This versatile silver formulation offers the maximum continuity of conductivity with an electrical resistivity value of less than 1x10-4 ohmcm. Silver-Bond 18 Rigid Highly Conductive Silver Epoxy Dual Cartridge Easy Mixing System is also characterized by a wide operating temperature range from 50 to +170C. Silver-Bond 18 Rigid Highly Conductive Silver Epoxy Dual Cartridge Easy Mixing System is recommended for electronic bonding and sealing applications that require both fine electrical and mechanical properties. Substrates Excellent choice aluminum, copper, magnesium, steel, bronze, nickel, kovar, ceramic, glass, phenolic and G-10 epoxy glass boards. 2) Apply Silver-Bond 18 Rigid Highly Conductive Silver Epoxy Dual Cartridge Easy Mixing System completely mixed adhesive to the prepared surfaces, and gently press these surfaces together. 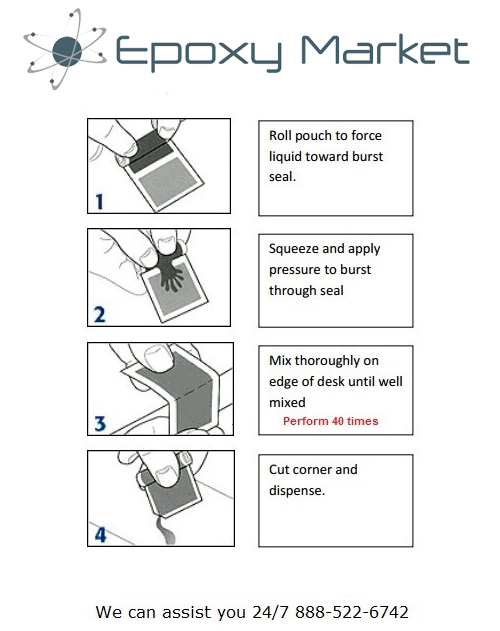 Contact pressure is adequate for strong, reliable bonds; however, maintain contact until adhesive is completely cured.